Chibnall, Marjorie (1992). "Mercenaries and the Familia Regis under Henry I". In Strickland, Matthew (ed.). Anglo-Norman Warfare. Woodbridge, UK: The Boydell Press. pp. 93–127. ISBN 978-0-85115-327-8.
Cooper, Alan (2001). ""The Feet of Those That Bark Shall Be Cut Off": Timorous Historians and the Personality of Henry I". In Gillingham, John (ed.). Anglo-Norman Studies: Proceedings of the Battle Conference, 2000. Woodbridge, UK: The Boydell Press. pp. 47–68. ISBN 978-0-85115-825-9. David, Charles W. (1929). "The Claim of King Henry I to Be Called Learned". In Taylor, C. H.; LaMonte, J. L (eds.). 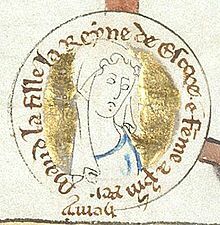 Anniversary Essays in Medieval History by Students of Charles Homer Haskins. Boston, US and New York, US: Houghton Mifflin. pp. 45–56. OCLC 615486047. Green, Judith (2003). "Le Gouvernement d'Henri Ier Beauclerc en Normandie". In Bouet, Pierre; Gazeau, Véronique (eds.). 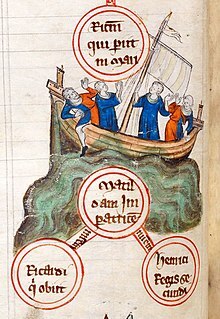 La Normandie et l'Angleterre au Moyen âge (in French). Caen, France: Publications du CRAHM. pp. 61–73. ISBN 978-2-902685-14-1. Hollister, C. Warren (2003). Frost, Amanda Clark (ed.). 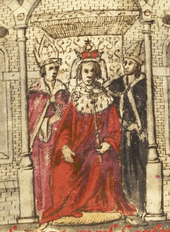 Henry I. New Haven, US and London, UK: Yale University Press. ISBN 978-0-300-09829-7. Prestwich, J. O. (1992). "The Military Household of the Norman Kings". In Strickland, Matthew (ed.). Anglo-Norman Warfare. Woodbridge, UK: The Boydell Press. pp. 128–142. ISBN 978-0-85115-327-8. Thompson, Kathleen (2007). 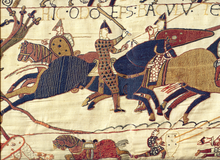 "From the Thames to Tinchebray: the Role of Normandy in the Early Career of Henry I". In Fleming, Donald F.; Pope, Janet M (eds.). Henry I and the Anglo-Norman World: Studies in Memory of C. Warren Hollister. Woodbridge, UK: The Boydell Press. pp. 16–26. ISBN 978-1-84383-293-5. Vaughn, Sally N. (2007). 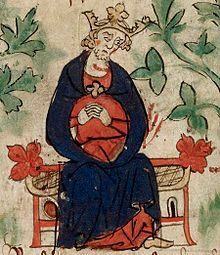 "Henry I and the English Church: the Archbishops and the King". In Fleming, Donald F.; Pope, Janet M (eds.). Henry I and the Anglo-Norman World: Studies in Memory of C. Warren Hollister. Woodbridge, UK: The Boydell Press. pp. 133–157. ISBN 978-1-84383-293-5.